Holy unanticipated occurrences! 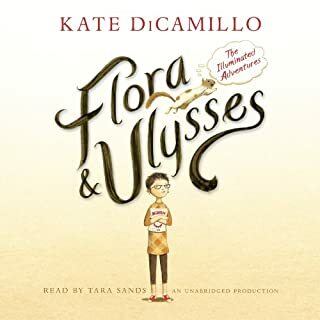 A cynic meets an unlikely superhero in a genre-breaking new novel by master storyteller Kate DiCamillo. It begins, as the best superhero stories do, with a tragic accident that has unexpected consequences. The squirrel never saw the vacuum cleaner coming, but self-described cynic Flora Belle Buckman, who has read every issue of the comic book Terrible Things Can Happen to You!, is just the right person to step in and save him. What neither can predict is that Ulysses (the squirrel) has been born anew, with powers of strength, flight, and misspelled poetry. Annabelle has lived in Wolf Hollow all her life: a quiet place still scarred by two world wars. 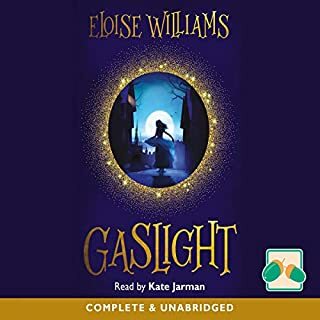 But when cruel, manipulative Betty arrives in town, Annabelle's calm world is shattered along with everything she's ever known about right and wrong. When Betty accuses gentle loner Toby - a traumatised ex-soldier - of a terrible act, Annabelle knows he's innocent. 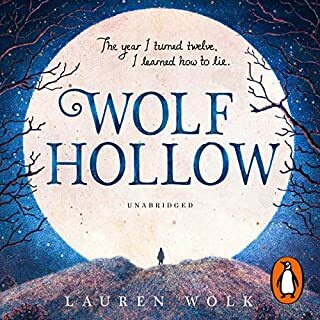 Then Betty disappears.... Now Annabelle must protect Toby from the spiralling accusations and hysteria until she can prove to Wolf Hollow what really happened to Betty. 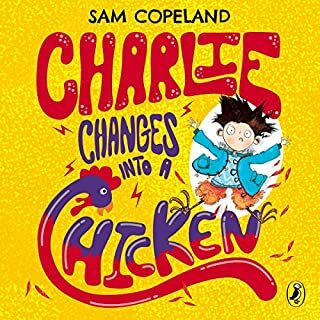 Penguin presents the audiobook edition of Charlie Changes into a Chicken by Sam Copeland, read by Rhashan Stone. Charlie McGuffin tries to be an optimist, but in reality he's a bit of a worrier. 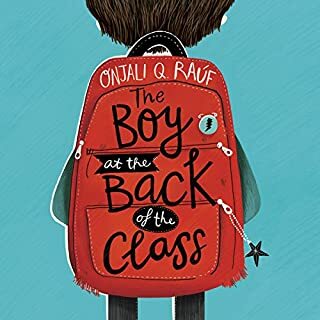 Some of the things Charlie is worried about are his brother (who is in hospital), their very panicked parents, unwanted attention from the school bully, and the fact that he's started turning into animals! Even though every kid wants a superhero power, Charlie isn't keen on turning into a pigeon in the middle of the school play. Melody is not like most people. She cannot walk or talk, but she has a photographic memory; she can remember every detail of everything she has ever experienced. She is smarter than most of the adults who try to diagnose her and smarter than her classmates in her integrated classroom - the very same classmates who dismiss her as mentally challenged because she cannot tell them otherwise. But Melody refuses to be defined by cerebral palsy. If you go down to the woods today... Well, all children know not to, don't they? Tamaya is on a scholarship to the prestigious Woodridge Academy, and every day she and seventh-grader Marshall walk to school together. They never go through the woods. And when they arrive at school, they stop talking to each other - because Marshall can't be seen to be friends with a little kid like Tamaya. Especially not with Chad around. Chad-the-bully, who makes Marshall's life utterly miserable. 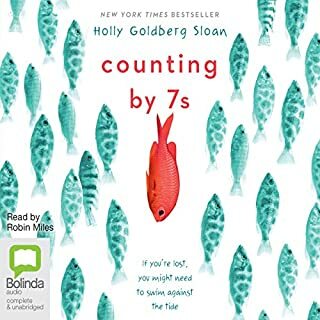 Willow Chance is a 12-year-old genius, obsessed with nature and diagnosing medical conditions, who finds it comforting to count by sevens. 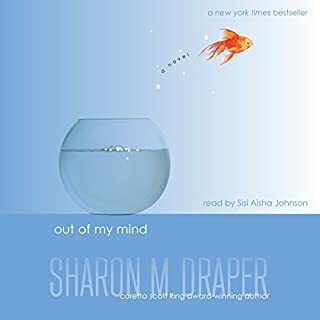 It has never been easy for her to connect with anyone other than her adoptive parents, but that hasn’t kept her from leading a quietly happy life...until now. Suddenly Willow’s world is tragically changed when her parents both die in a car crash, leaving her alone in a baffling world. The triumph of this book is that it is not a tragedy. How do you know you really exist? It’s Maisie’s birthday and she can’t wait to open her presents. She’s hoping for the things she needs to build her own nuclear reactor. But she wakes to an empty house and outside the front door is nothing but a terrifying, all-consuming blackness. 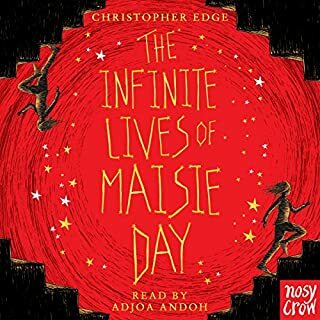 Trapped in an ever-shifting reality, Maisie knows that she will have to use the laws of the universe and the love of her family to survive. 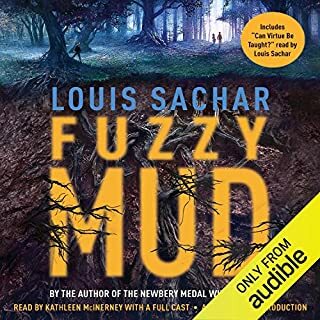 And even that might not be enough.... A mind-bending mystery for anyone who’s ever asked questions, from the author of The Many Worlds of Albie Bright and The Jamie Drake Equation. Fred awoke to find that a snake was watching him and that there was an aeroplane in the trees. It was on fire. Being on fire was a quality it shared with much of the surrounding jungle. After crashing hundreds of miles from civilisation in the Amazon rainforest, Fred, Con, Lila and Max are utterly alone and in grave danger. They have no food, no water and no chance of being rescued. But they are alive, and they have hope. As they negotiate the wild jungle, they begin to find signs that something - someone - has been there before them. 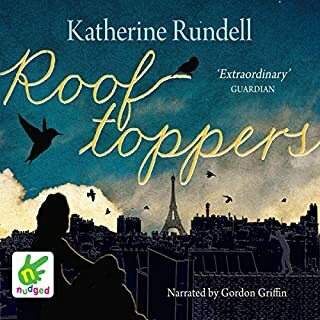 Eleven-year-old Tilly has lived above her grandparents’ bookshop ever since her mother disappeared shortly after she was born. Like the rest of her family, Tilly loves nothing more than to escape into the pages of her favourite stories. 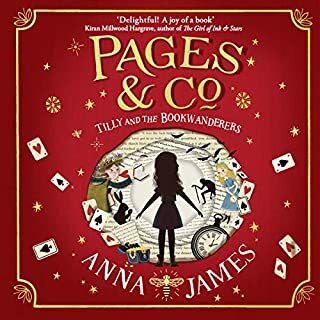 One day Tilly realises that classic children’s characters are appearing in the shop through the magic of ‘book walking’ - crossing over from the page into real life. Morrigan Crow is cursed. 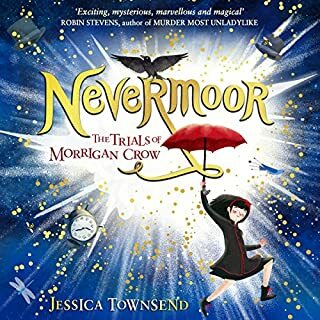 Having been born on Eventide, the unluckiest day for any child to be born, she's blamed for all local misfortunes, from hailstorms to heart attacks - and, worst of all, the curse means that Morrigan is doomed to die at midnight on her 11th birthday. But as Morrigan awaits her fate, a strange and remarkable man named Jupiter North appears. Ally has been smart enough to fool a lot of smart people. Every time she lands in a new school, she is able to hide her inability to read by creating clever yet disruptive distractions. She is afraid to ask for help; after all, how can you cure dumb? However, her newest teacher Mr. Daniels sees the bright, creative kid underneath the trouble maker. With his help, Ally learns not to be so hard on herself and that dyslexia is nothing to be ashamed of. All Nansi knows is that her mother disappeared on the day she was fished out of Cardiff docks. With no other family to turn to, she works at the Empire Theatre, trying to earn enough money to hire a detective to find her mother. Everything changes when Constance and Violet join the theatre. Nansi is forced to be part of Violet's crooked psychic act. 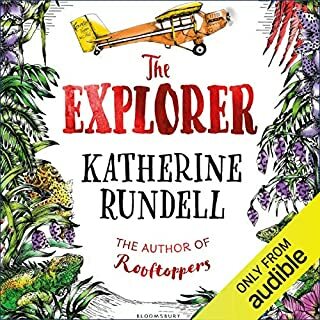 But it's when Constance recognises her, and realises who her mother must be, that Nansi's world is turned upside down forever. There used to be an empty chair at the back of my class, but now a new boy called Ahmet is sitting in it. He's eight years old (just like me), but he's very strange. He never talks and never smiles and doesn't like sweets - not even lemon sherbets, which are my favourite! But the truth is, Ahmet really isn't very strange at all. He's a refugee who's run away from a war. A real one. With bombs and fires and bullies that hurt people. And the more I find out about him, the more I want to be his friend. 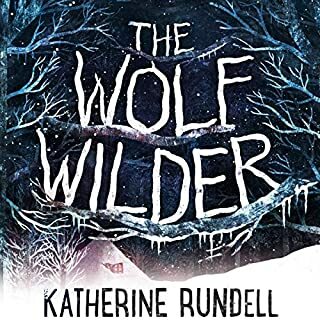 Mila and her sisters live with their brother, Oskar, in a small forest cabin in the snow. One night, a fur-clad stranger arrives seeking shelter for himself and his men. But by the next morning, they've gone, taking Oskar with them. 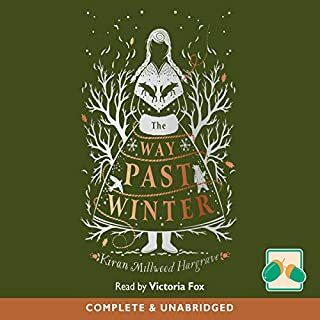 Fearful for his safety, Mila and her sisters set out to bring Oskar back - even if it means going north, crossing wild and frozen lands to find a way past an eternal winter. When Alice Mistlethwaite is shipped off to boarding school in Scotland, it's nothing like she imagines. Run by the mysterious Major, there are no punishments, and the students are more likely to be taught about body painting or extreme survival than maths or English! Then Alice's dad goes missing, and she must run away to find him. Can she persuade her new friends to help? 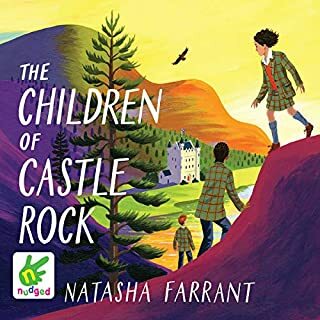 So begins an epic quest across wild Scottish highlands and islands, where the children will face danger and excitement at every turn. 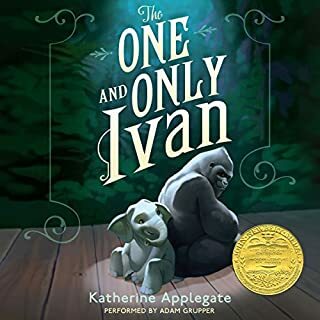 The heartwarming new story about family and friendships from Newbery Medal winner Katherine Applegate. Life is tough for 10-year-old Jackson. The landlord is often at the door, there's not much food in the fridge and he's worried that any day now the family will have to move out of their home. Again. 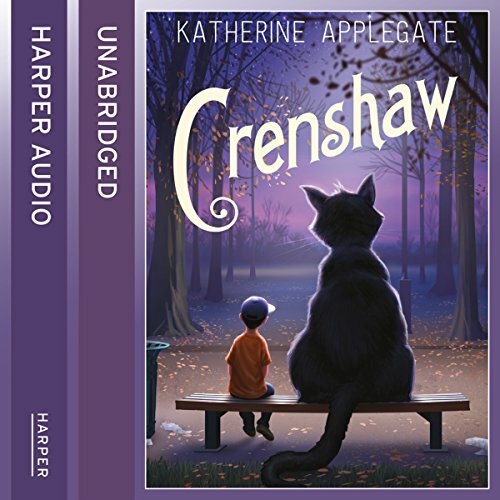 Crenshaw is a cat. He's large, he's outspoken and he's imaginary. 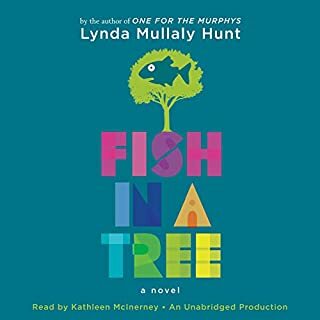 He's come back into Jackson's life to help him, but is an imaginary friend enough to save this family from losing everything?